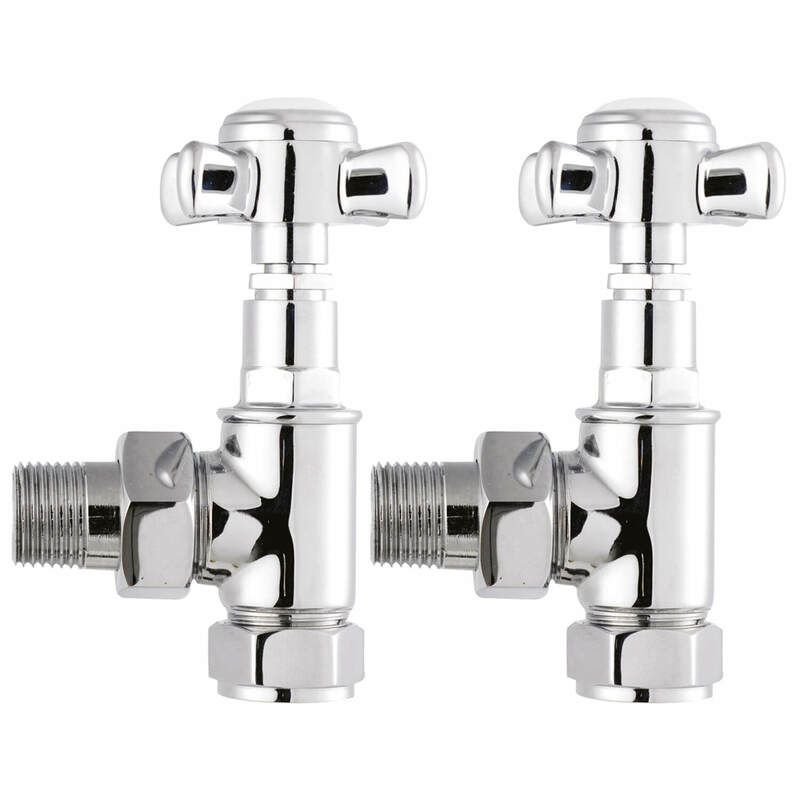 Ensure an efficient heating system in your home with these Radiator valves from Hudson Reed. 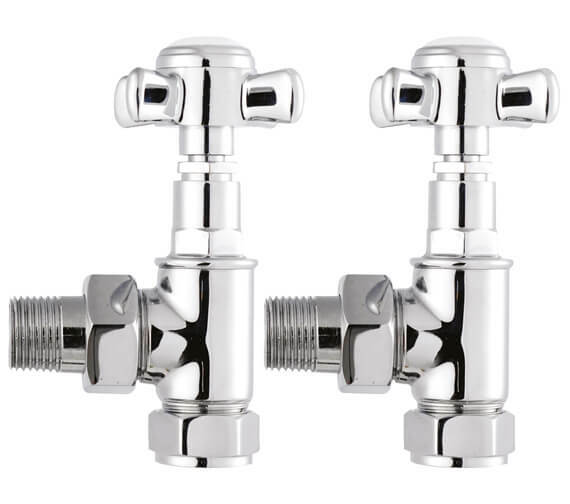 These Angled Radiator Valves have a robust design to control the heat flow from the radiators. 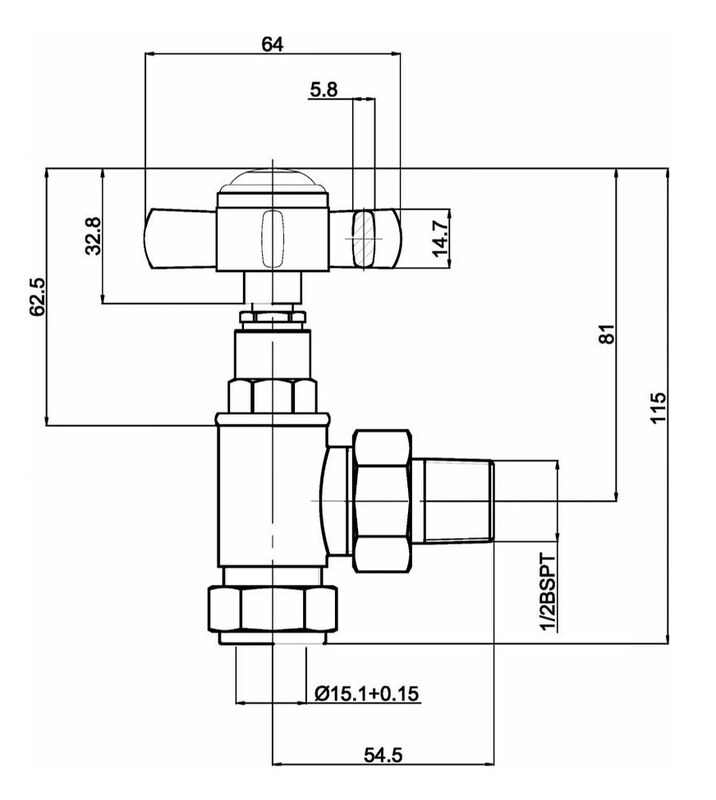 The valves are supplied in a pair and feature cross-head handles. Well-suited for radiators as well as heated towel rails, this pair is convenient to install and easy-to-use for your comfort. 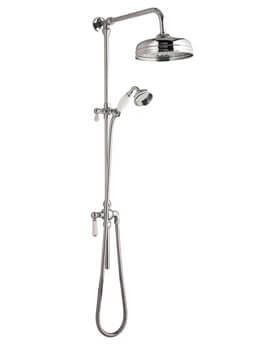 It is backed by 20 years of guarantee from the manufacturer.